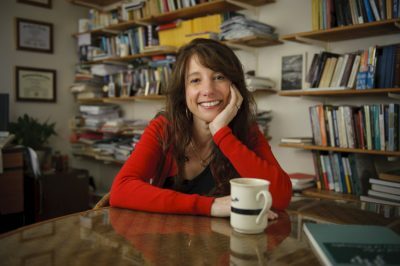 It only takes a short conversation with Dr. Lesley Friedman’s friends, colleagues, and former students to know that she is greatly missed. A celebration of Dr. Friedman’s life will be held at 2 p.m., Friday, Oct. 6, on the steps of Hopwood Hall. Dr. Tom Brickhouse recalled meeting Dr. Friedman when she came to Lynchburg in 1993, shortly after graduating from the University of Buffalo with a PhD in philosophy. She also described Dr. Friedman as kind, helpful, and fun to talk to. “She had a sense of humor that seemed to coincide with mine and we found the same things funny,” Schneider said. One such student, Liz Childress Burneson ’12, said she “bonded instantly” with Dr. Friedman and kept in touch with her after graduation. Burneson described Dr. Friedman as an “informal mentor and advisor to me,” and said her influence extended well past Commencement. From 2011 to 2016, Dr. Friedman was the John Mills Turner Distinguished Chair in the Humanities. She received the Shirley E. Rosser Award for Excellence in Teaching in 2011 and the Elsie Ervin Bock Award for Excellence in Citizenship in 2003. In addition to her siblings, extended family, and friends, Dr. Friedman leaves behind her husband, Ricky Davis, and two children, Seren Ann Skelly and Patrick John “P.J.” Skelly, all of Lynchburg.